I created this one day for my boys when they were just driving me crazy asking me what they should do. 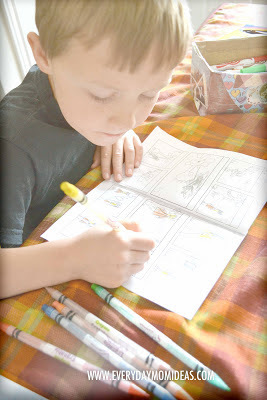 I tried finding already made comic book printables and I just couldn't find any that I liked or that would work for my seven and eight year old boys. 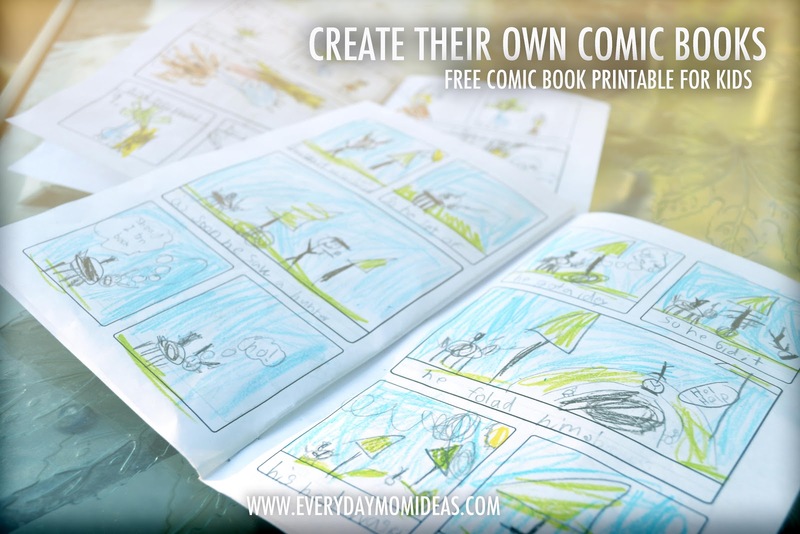 This comic book printable is perfect for younger kids because there are no word bubbles already created so they don't feel frustrated trying to fill them in or make them work with their characters. 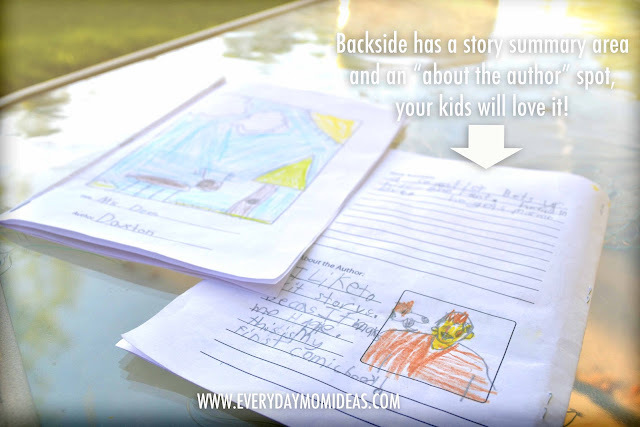 I also thought it would be fun to have a spot on the back where they could write their story summary and there is also an "About the author" area for them to tell about their self and draw their portrait as well. There has also been some upgrades to the printable that are not shown in the pictures. The front page is a lot nicer and has a few more features. 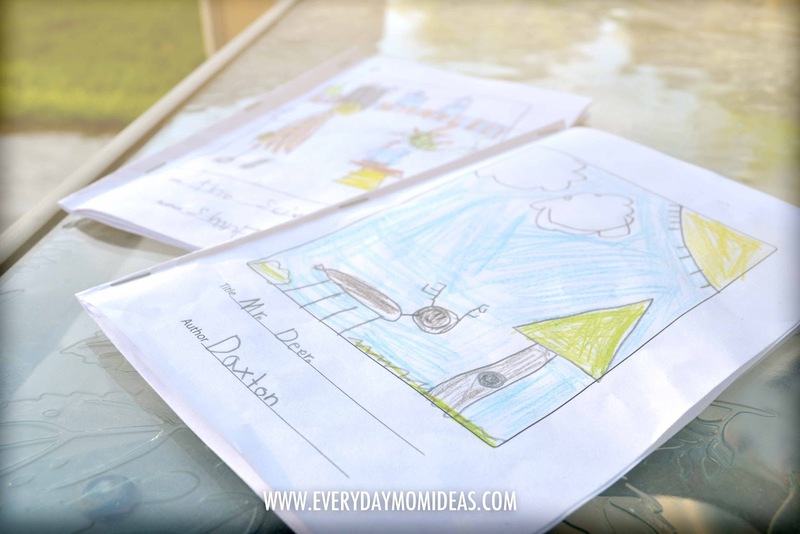 This is a perfect activity for kids this summer, they will love getting to be creative not only in drawing fun pictures but its also a great creative writing exercise. Plus it keeps them busy for hours! My sons love the idea of creating a series of comic books and continuing their characters adventures. TIP: Print the second page twice to print on front and back of one paper. Also you can print the second page multiple times if you need the comic book to be longer. One page front and back is recommended for younger kids, any more than that may be too much for them. Kids Having Hard Time Picking a Topic? Head on over to scholastic story starter, they have the funnest interactive story topic picker for kids. You are so awesome and clever. I bet your boys totally enjoyed these. Oh, Brilliant!! My eldest is four and he LOVES drawing little stories. He will have a blast with this. Thanks! Thanks so much for this! I pinned it yesterday, and now my son came home from school today talking about making a comic book. Thank You for this, My boys will love it!